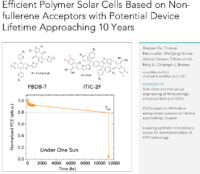 1M is coming E-MRS again to support the Symposium B ” Emerging Photovoltaics: Strategy for More Stable Devices” and to showcase ONE materials in Exhibition booth #10. 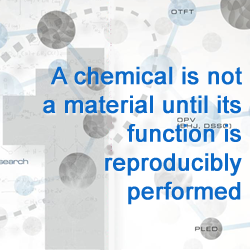 Both F-BDPPV and Cl-BDPPV n-type polymers are ready for you to explore in OTE, OPV and OTFT. Please refer the listed COAs for more information. 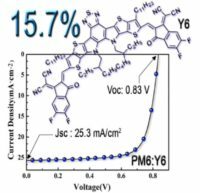 PCE=17.87% has been achieved for organic solar cell, cheers. What are we waiting for? see the enclosed. IHIC/4TIC is reproduced constantly, see the Certificate of Analysis in the attached. FOIC , a brother of 3TT-FIC ? Please check.